Just a short distance from the airport of Las Palmas, our hotel The Lopesan Costa Meloneras is situated to the south of Gran Canaria, close to the Dunes of Maspalomas. This four star hotel has everything one could ask for. Originally fit for a prince, this palace style building boasts four freshwater swimming pools (2 heated in winter), a children’s pool, 3 jacuzzis and an artificial beach. For the energetic types there are tennis courts, mini golf, bowling area and table tennis. The hotel has its own infinity pool, which leads out on to the beach of Maspalomas and a lighthouse that was built in 1886 that seems to be a major tourist attraction. Along the promenade, at the back of the hotel, there is a wide variety of restaurants where one can choose from suckling pig, paella and those very popular papas arrugadas (wrinkly potatoes), add some mojo sauce and you won’t be disappointed. 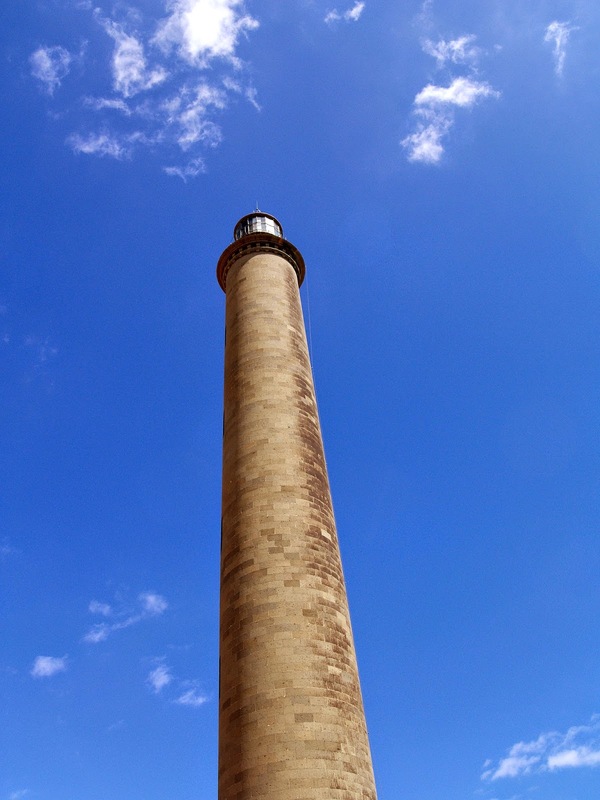 Just beyond the lighthouse are the Dunes of Maspalomas, which are a must see and can reach heights of up to 38 feet. These Dunes constitute a strange habitat for very rare species of birds. There is 17km of coastline in Maspalomas with a lot of beautiful palm groves around a briny water lagoon known as La Charca. Don’t wander in too far as you may get lost and they go on for miles. 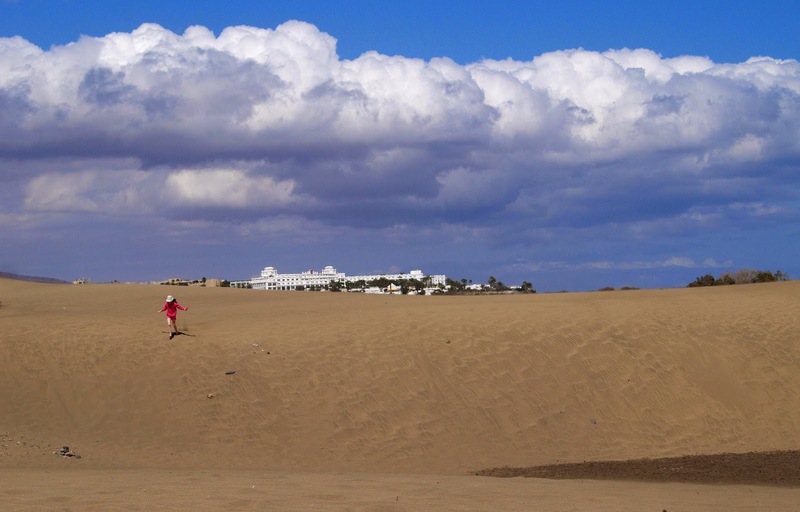 There are excursions and guided tours, if you want to explore these dunes in depth. 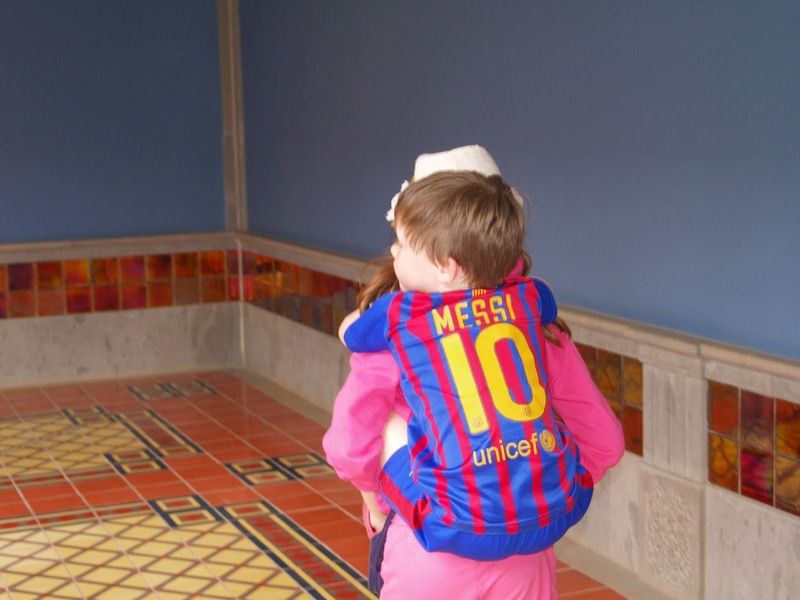 Before we went on our holiday I had organised two excursions, Palmitos Park and Angry Birds Park. Palmitos Park is situated very close to Maspalomas (just a short bus journey away) and is nestled in the mountains with a very country setting. 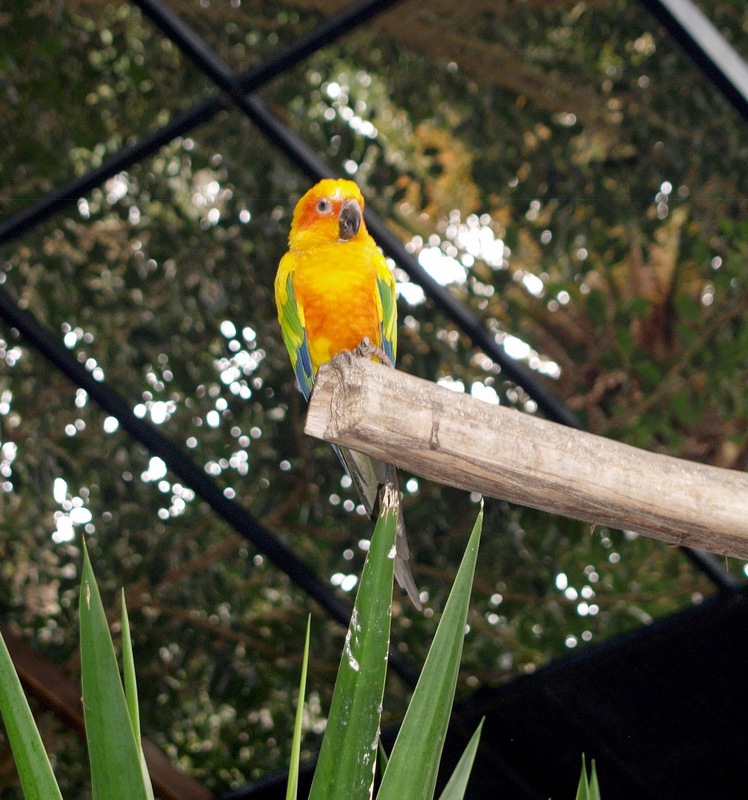 This botanical garden and aviary claims over 160 cactus and 1000 palm trees of 42 different varieties. 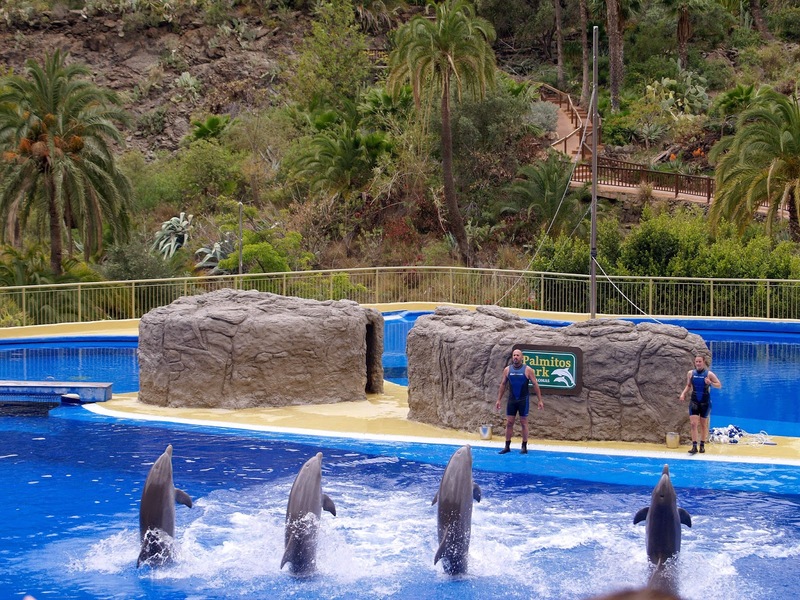 Their dolphin show is pretty spectacular and they really seem show off to the delight of the audience. They always look well cared for and never stop smiling. Also in the park is the massive aquarium with all sorts of tropical fish. The orchid garden displayed an array of colourful flowers that were most appealing to the eye. A recent addition to the park is the butterfly house, where many different species of butterfly hovered over our heads. It was a day well spent. Later on that we week we went on another trip to Angry Birds Activity Park and had my kids all excited in this all inclusive park. We spent hours there and the staff could not have been more helpful. There was plenty to do, from riding skooters to jumping from a height onto a big spongy bed. We all took part in the go-carting, however it was a while before I got started, my kids were passing me out. After that it was gratifying to settle and break for lunch at one of the lovely cafés. We browsed in the shops, took a taxi back to our hotel, just in time for a nice swim before dinner. After such a relaxing holiday, I shall return some day to this wonderful island.